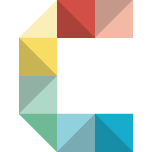 Cartography students at GeoMundus 2017 conference – Cartography M.Sc. 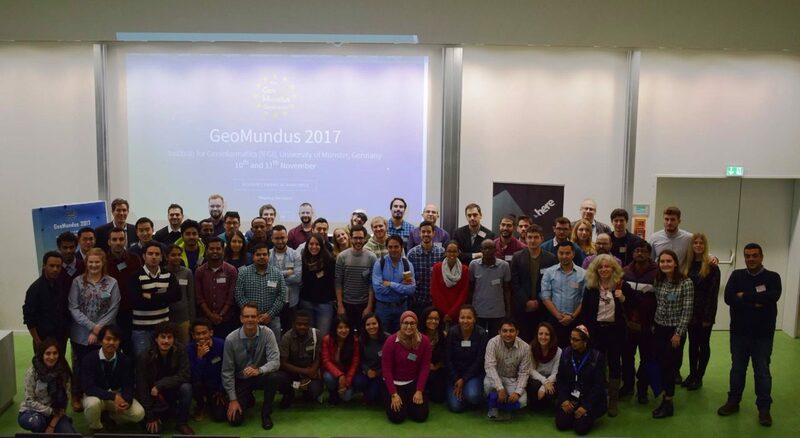 On the 10th and 11th of November the 9th GeoMundus Conference took place at the Institute of Geoinformatics (IFGI) of the University of Münster, Germany. 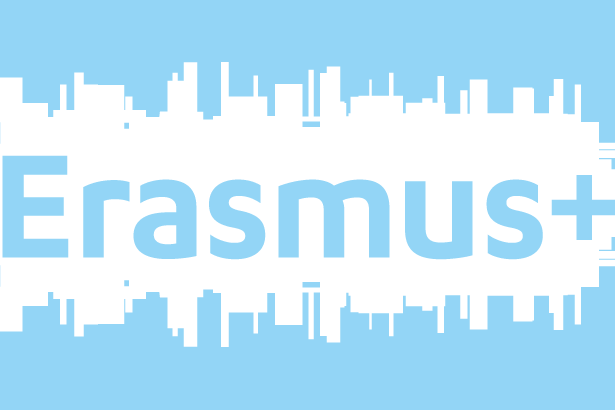 Organized by students of the Erasmus Mundus Master of Science in Geospatial Technologies (GeoTech), the international symposium features broad aspects of geospatial technologies disciplines, including geographic information systems and science, environmental studies and management, urban planning and many more. 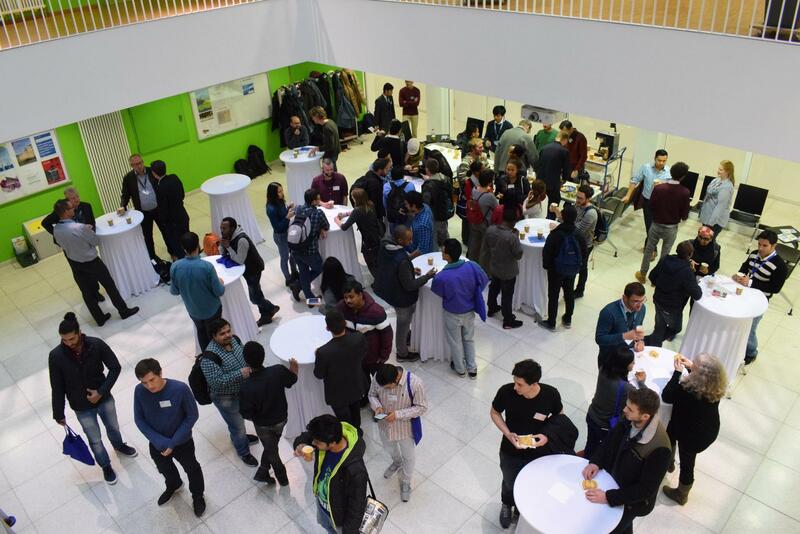 Three students of the sixth intake of our Cartography Master programme attended the conference and took part in keynotes, poster and paper presentations, workshops, and of course social events. 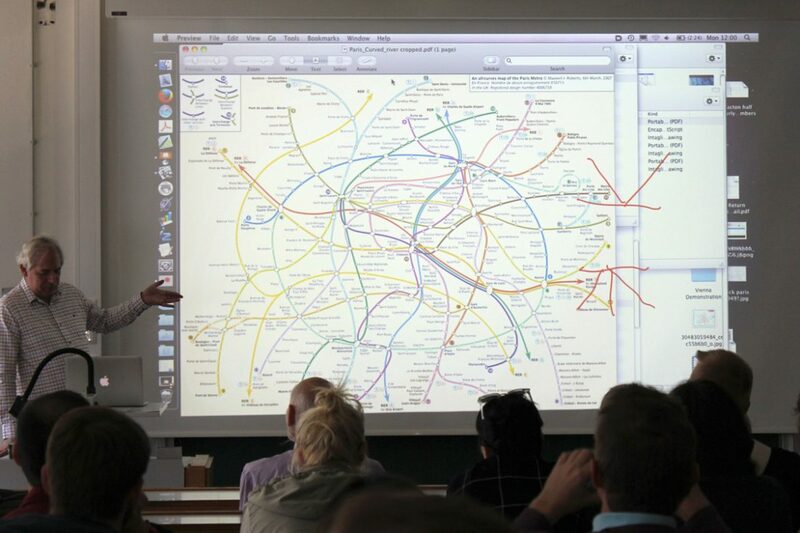 About 100 attendees, mainly students, and the presenters with different backgrounds offered a broad and fascinating perspective on matters, which are also very relevant for cartographers. 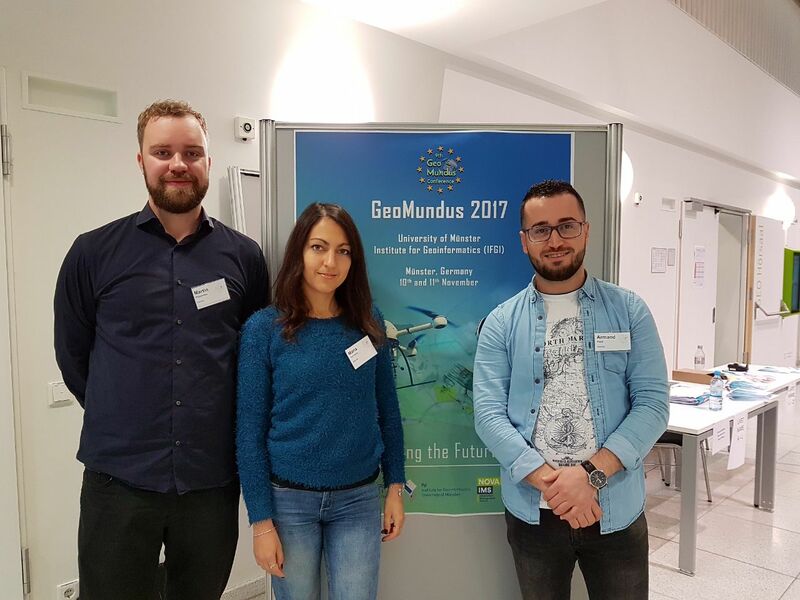 The topics varied from “Geospatial data from maps to Volunteered Geographical Information” to “Mapping beyond the Screens: Visualizing Direction and Distance to Distant Landmarks”. Another valuable part of the conference was the Career Development session with panellist from the keynote speakers and invited guests to the conference. This was an interesting session to provide some insights on the student’s interests either to work on the field of geoinformatics in the industry or to follow the academic path after their studies. 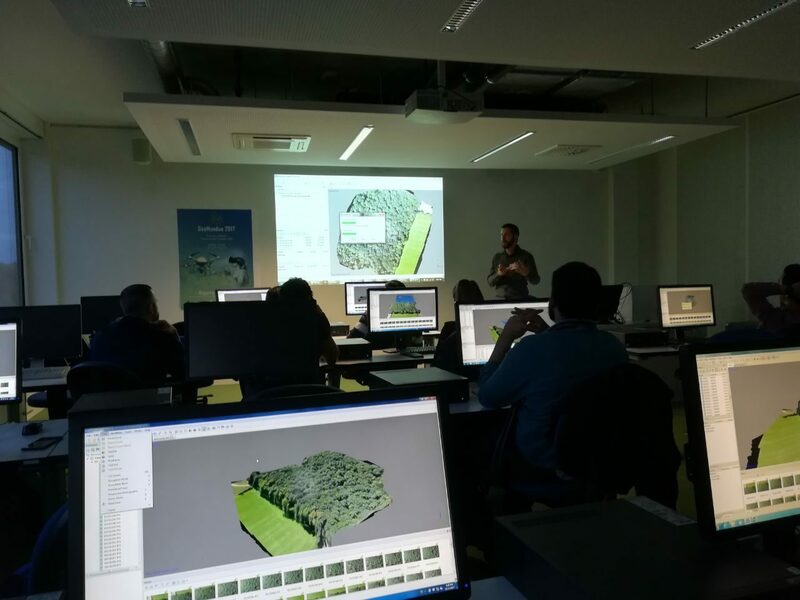 Different workshops were offered, for example a “Demonstration Flight by IFGIcopter Group including a Practical Data Image Analysis Follow-Up” and also allowed hands-on practice. 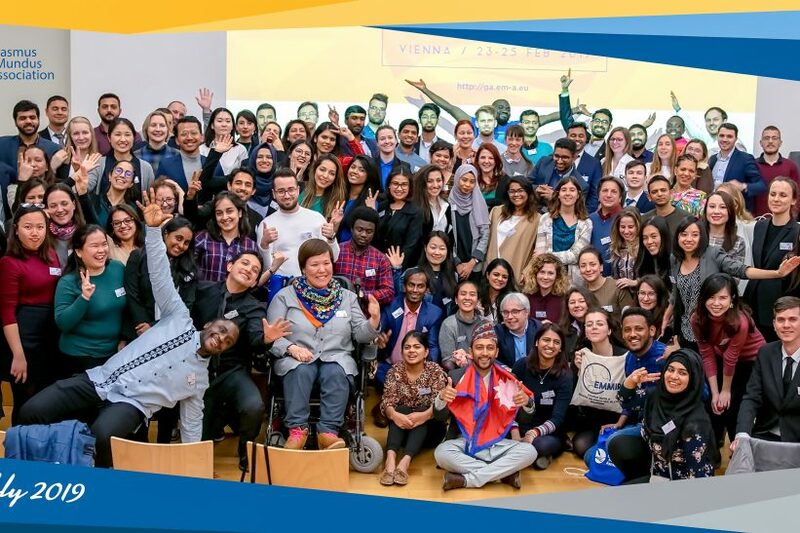 The highlight of social events was the Gala Dinner in a restaurant, organized by the students and financed by the sponsor Here Maps, which allowed getting in touch with other attendees. 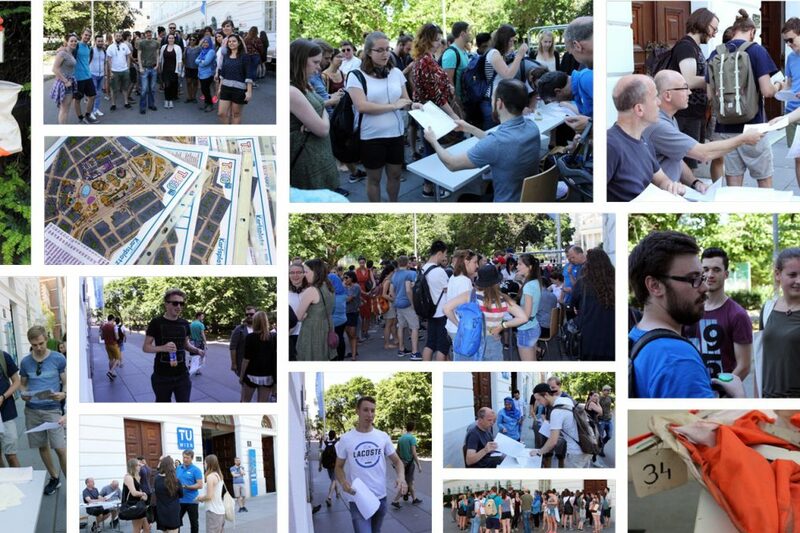 Next year, the GeoMundus will take place in Lisbon. We already started planning our trip and would like to invite and motivate everyone to join us. 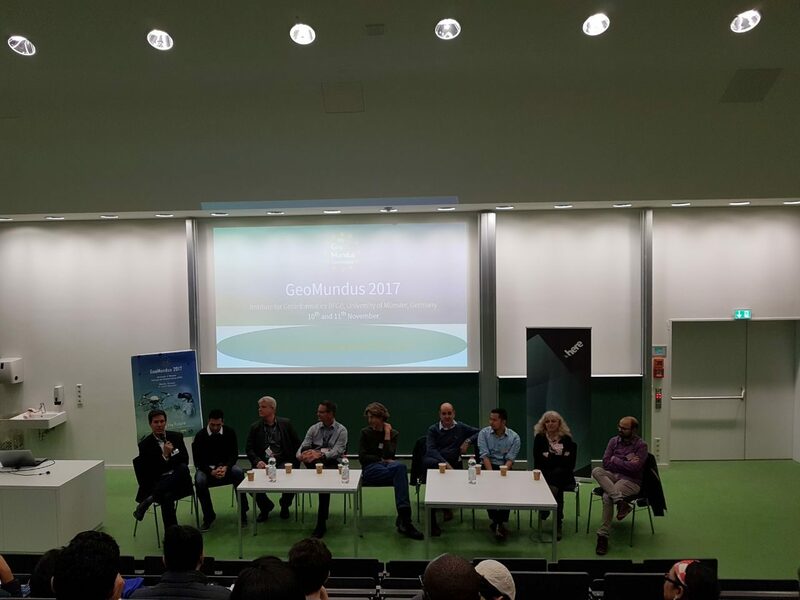 Thank you very much for the great organization and the amazing time we had in Münster!